Creating a unique, unforgettable experience, one table at a time. Looking to make a statement? Shake things up with a show stopping chef’s table that truly serves as a focal point in your space. Designed around your needs and aesthetic, dining at a Terra Amico banquet table is unforgettable. Display your signature dishes with unmatched style and class. 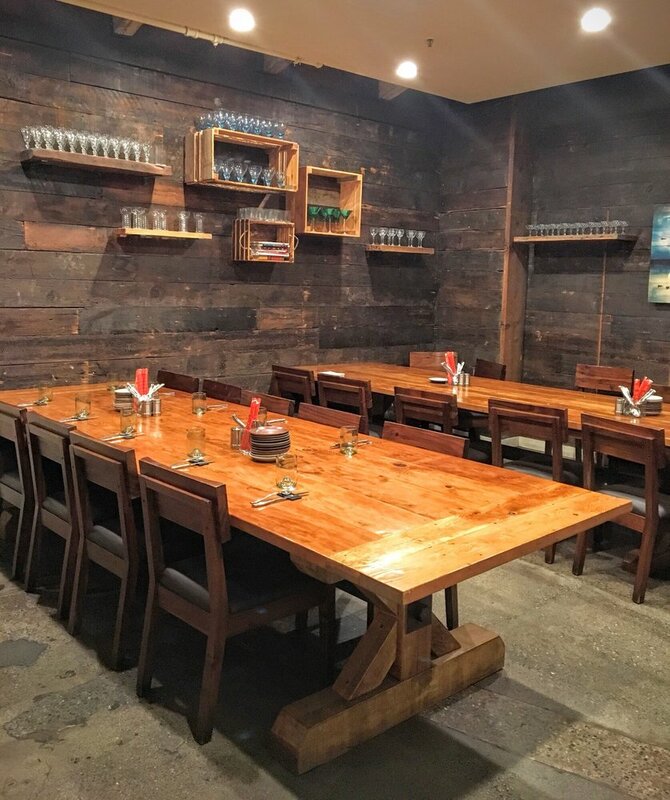 Your guests will know they’re truly fine dining with solid reclaimed wood tables. When it comes to furniture, the details define the experience. Available in any size or shape you need, we fabricate table tops from wood, steel, zinc and concrete. Each piece is handcrafted, and sets the stage for success. Since the inception of restaurants, outdoor dining has been a staple in countries and cultures across the globe. Blending the earth’s natural beauty with the nurture of good company and good food, it’s an experience enjoyed by all. Enclose your patio seating with Terra Amico planters or rails, pay a tribute to mother nature by serving your guests at reclaimed wood outdoor tables. If you can imagine it, we can design it. Good cocktails require good ambiance to be truly savored. We proudly fabricate bars and back bars that will leave your guests in awe. 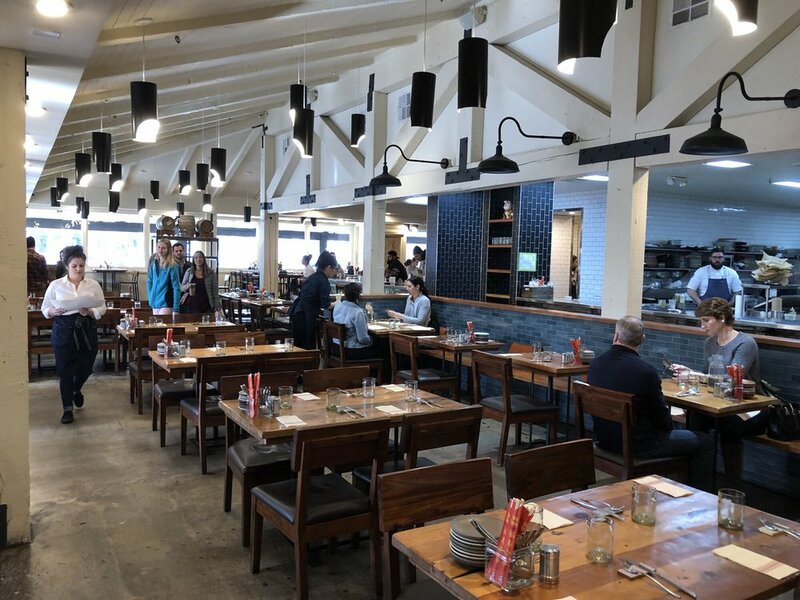 From sliding library style ladders gliding smoothly across adjustable reclaimed wood shelving, to solid surface zinc bar tops, let us help you make your bar an experience your guests won’t soon forget. Accentuate an opening, separate spaces, or create a sense of privacy for your banquet room with a Terra Amico barn door. Available in wood, steel, or a mix of both. Each of our barn doors is handcrafted to spec, with a custom track and hardware. Don’t need a barn door? Define your space with beautiful reclaimed redwood wall cladding or corrugated steel. The design is in the details, and it’s the little things that truly shape your guest’s experience. 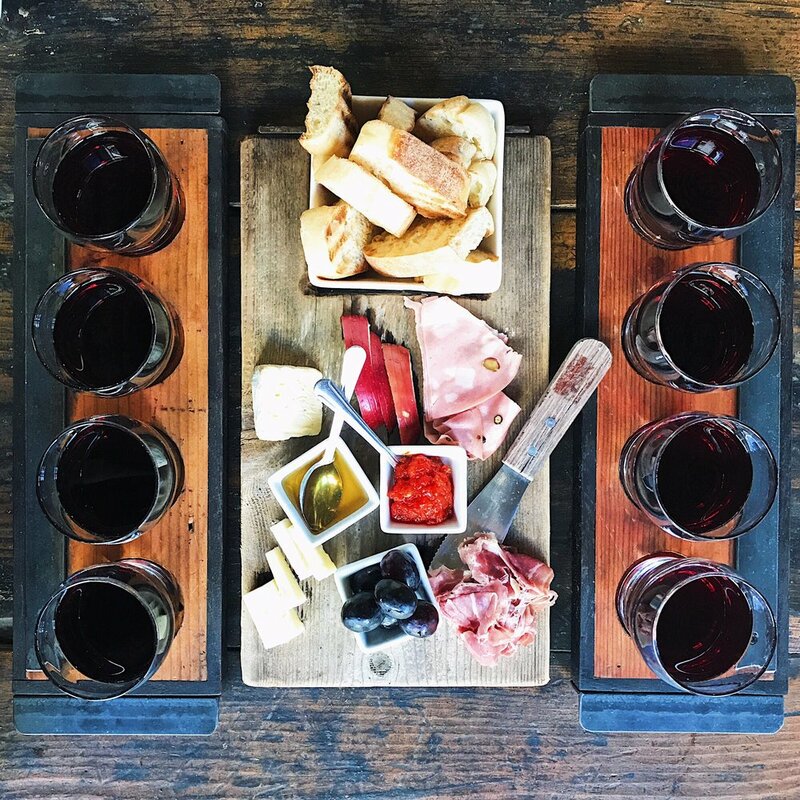 Present flights on our custom flight planks, let your client’s choose their entree from your menu backed on our menu boards, or bring the check with an extra flair on our reclaimed redwood check presenters.